Medal of Honor nominee Ardie R. Copas was from Fort Pierce, Fla. He joined the U.S. Army, June 18, 1969. Then-Spc. 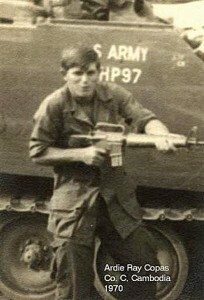 4 Ardie R. Copas distinguished himself on May 12, 1970, while serving as a machine-gunner near Ph Romeas Hek, Cambodia. When his convoy was ambushed, Copas repelled the enemy under heavy fire, holding his post while his wounded comrades were evacuated. Copas was killed in action. In addition to the Medal of Honor, Copas received the Distinguished Service Cross (this award will be upgraded to the Medal of Honor on Mar. 18), Bronze Star Medal with one Bronze Oak Leaf Cluster, Purple Heart, Army Good Conduct Medal, National Defense Service Medal, Vietnam Service Medal with two Bronze Service Stars, Combat Infantryman Badge, Expert Marksmanship Badge with Auto Rifle Bar, Republic of Vietnam Military Merit Medal, Republic of Vietnam Gallantry Cross with Palm Device, Republic of Vietnam Campaign Medal with “60” Device, Republic of Vietnam Gallantry Cross Unit Citation with Palm Device, Republic of Vietnam Civil Actions Honor Medal Unit Citation, First Class. 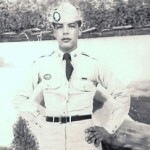 For extraordinary heroism in connection with military operations involving conflict with an armed hostile force in the republic of Vietnam: Spc.4 Ardie R. Copas distinguished himself while serving as a machine-gunner aboard an armored personnel carrier during operations near Ph Romeas Hek, Cambodia. In the early morning hours of May 12, 1970, Copas’ company was suddenly attacked by a large hostile force firing recoilless rifles, rocket propelled grenades, and automatic weapons. After Copas began returning fire, his armored car was struck by an enemy recoilless round, knocking him to the ground and injuring four American Soldiers beside the vehicle. Ignoring his own wounds, Copas quickly remounted the burning vehicle and commenced firing his machine-gun at the belligerents. Braving the hostile fire directed at him, and the possible detonation of the mortar rounds inside the track, Copas maintained a heavy volume of suppressive fire on the foe while the wounded Americans were safely evacuated. Undaunted, he continued to place devastating volleys of fire upon the adversary until he was mortally wounded when another enemy round hit his vehicle. His daring action resulted in the safe evacuation of his comrades and prevented injury or death to fellow Americans. Copas’ extraordinary heroism and devotion to duty, at the cost of his life, were in keeping with the highest traditions of the military service and reflect great credit upon himself, his unit, and the United States Army. Copas is set to receive the Medal of Honor posthumously in a ceremony at the White House on March 18. 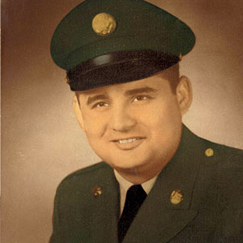 Medal of Honor nominee Joe R. Baldonado was born in Colorado, Aug. 28, 1930. He joined the U.S. Army as a light weapons infantryman (parachutist) during the Korean War. 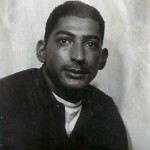 Baldonado distinguished himself on Nov. 25, 1950, while serving as a machine-gunner in the vicinity of Kangdong, Korea. Baldonado’’s platoon was occupying Hill 171 when the enemy attacked, attempting to take their position. Baldonado held an exposed position, cutting down wave after wave of enemy troops even as they targeted attacks on his position. During the final assault by the enemy, a grenade landed near Baldanado’s gun, killing him instantly. His remains still have not been found. 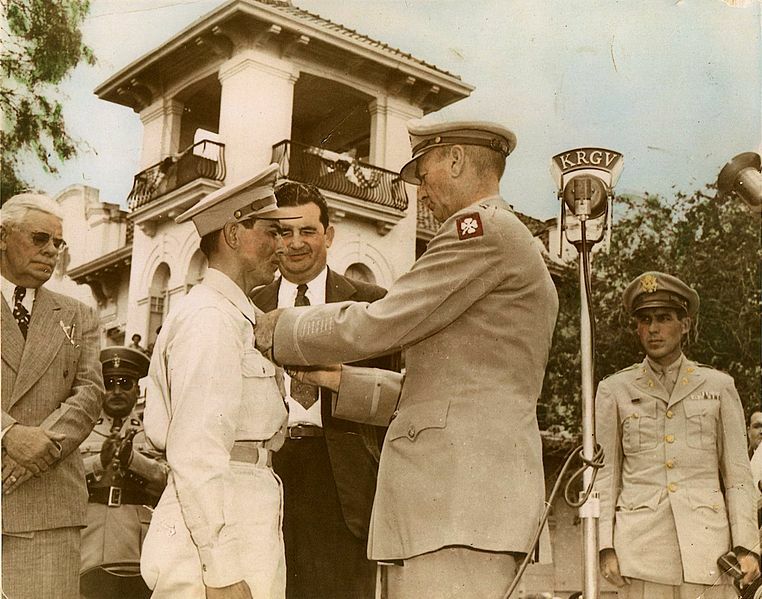 In addition to the Medal of Honor, Baldonado received the Distinguished Service Cross (this award will be upgraded to the Medal of Honor on Mar. 18), Purple Heart, National Defense Service Medal, Korean Service Medal, Combat Infantryman Badge, United Nations Service Medal, Republic of Korea-Korean War Service Medal. The Distinguished Service Cross is presented to Cpl. 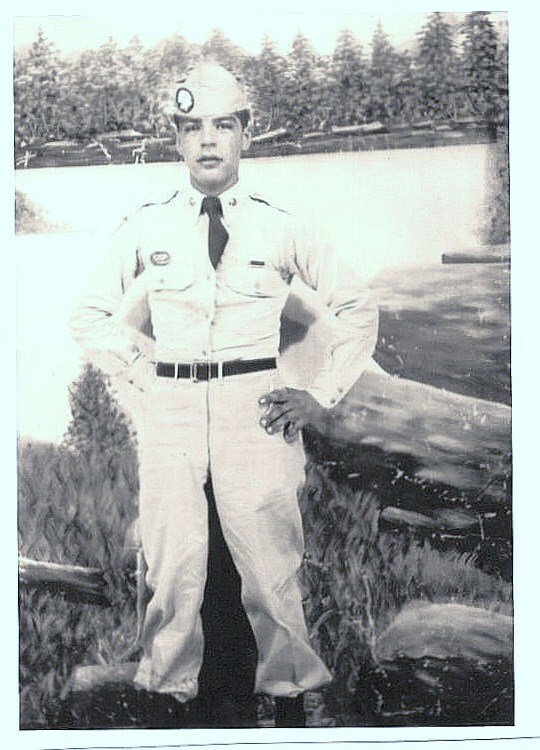 Joe R. Baldonado, U.S. Army, for extraordinary heroism in action while serving as a machine-gunner with Company B, 187th Airborne Infantry Regiment, Nov. 25, 1950, at Hill 171 in the vicinity of Kangdong, Korea. At 4 a.m., Nov. 25, 1950, the Second Platoon of Company B was occupying positions on Hill 171, near Kangdong, when the enemy launched a strong attack in an effort to seize the hill. By 6 a.m., the platoon had expended most of its ammunition in repelling the enemy attack, and the platoon leader decided to commit his third squad, with its supply of ammunition, in the defensive action. Since there was not time to dig in because of the proximity of the enemy, who had advanced to within twenty-five yards of the platoon positions, Baldonado, a machine-gunner of the third squad, placed his weapon in an exposed position and delivered a withering stream of fire on the advancing enemy, causing them to fall back in disorder. The enemy then concentrated all their fire on Baldonado’s gun, and attempted to knock it out by rushing the position in small groups and hurling grenades. Several times grenades exploded extremely close to Baldonado, but failed to interrupt his continuous firing. The hostile troops made repeated attempts to storm his position and were driven back each time with appalling casualties. The enemy finally withdrew at 7 a.m., after making a final assault on Baldonado’s position, during which a grenade landed near his gun, killing him instantly. Baldonado is set to receive the Medal of Honor posthumously in a ceremony at the White House on March 18. He enlisted in the U. S. Army, July 25, 1968. Medal of Honor nominee Leonard Alvarado was born in Bakersfield, Calif., Feb. 13, 1947. 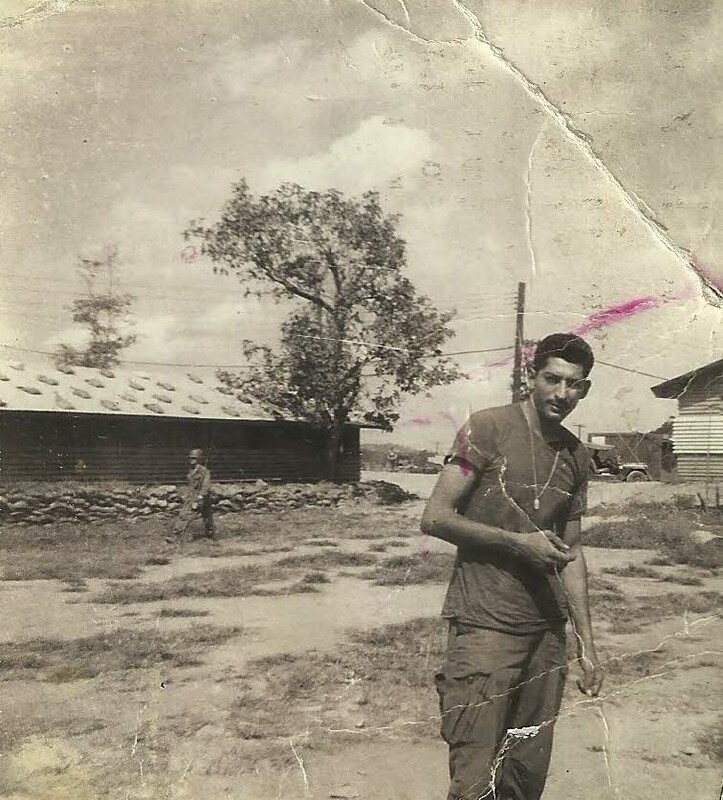 Alvarado distinguished himself on Aug. 12, 1969, while serving as a rifleman during a mission to relieve a sister platoon, in Phuoc Long Province, Vietnam. Alvarado was killed in action after disrupting an enemy raid and saving the lives of several comrades, leaving behind his wife and young daughter. In addition to the Medal of Honor, Alvarado received the Distinguished Service Cross (this award will be upgraded to the Medal of Honor on Mar. 18), Bronze Star Medal, Purple Heart, Air Medal, Army Commendation Medal with “V” Device, Army Good Conduct Medal, National Defense Service Medal, Vietnam Service Medal with three Bronze Service Stars, Republic of Vietnam Campaign Medal with “60” Device, Valorous Unit Award, Republic of Vietnam Gallantry Cross Unit Citation with Palm Device, Republic of Vietnam Civil Actions Honor Medal Unit Citation First Class, Combat Infantryman Badge and the Expert Marksmanship Badge with Rifle, Auto Rifle and Machine-Gun Bars. For extraordinary heroism in connection with military operations involving conflict with an armed hostile force in the Republic of Vietnam: Spc.4 Leonard L. Alvarado distinguished himself by exceptionally valorous actions, Aug. 12, 1969, while serving as a rifleman during a mission to relieve a beleaguered sister platoon in Phuoc Long Province, Vietnam. As he and other members of the small reaction force moved through dense jungle, Alvarado detected enemy movement and opened fire. Despite his quick reaction, he and his comrades were quickly pinned down by the hostile force that blocked the path to the trapped platoon. Alvarado quickly moved forward through the hostile machine-gun fire in order to engage the enemy troops. Suddenly, an enemy grenade exploded nearby, wounding and momentarily stunning him. Retaliating immediately, he killed the grenadier just as another enemy barrage wounded him again. He crawled forward through the fusillade to pull several comrades back within the hastily-formed perimeter. Realizing that his element must break away from the hostile force, he began maneuvering forward alone. Though repeatedly thrown to the ground by exploding satchel charges, he continued advancing and firing, silencing several emplacements, including one enemy machine-gun position. From his dangerous forward position, he persistently laid suppressive fire on the hostile forces, and after the enemy troops had broken contact, his comrades discovered that he had succumbed to his wounds. 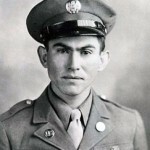 Alvarado’s extraordinary heroism and devotion to duty, at the cost of his life, were in keeping with the highest traditions of the military service and reflect great credit upon himself, his unit, and the United States Army. Alvarado is set to receive the Medal of Honor posthumously in a ceremony at the White House on March 18. Fifteen seconds. That’s how long Staff Sgt. Joshua Reid and Master Sgt. William Fritsch were on the ground to pick up four critically wounded soldiers Dec. 10 near Sperwan Ghar, Afghanistan. Getting the soldiers to a hospital was crucial — but so was avoiding enemy small arms fire and rocket-propelled grenades. Flight engineers Reid and Fritsch received the Distinguished Flying Cross with Valor at a ceremony today at the 55th Rescue Squadron at Davis-Monthan Air Force Base, Ariz., for their roles in the combat rescue. Also honored, with the Air Medal with Valor, were aerial gunner Staff Sgt. Jason St John and pilots 1st Lt. Patrick Mount and Capt. Ryan Prince. The members of the 55th RQS at Kandahar Airfieldhad just worked a full 12-hour shift when they received a call to rescue the wounded Regional Command South soldiers about 40 miles away. Their flight, Pedro 61 and 62, carried four aircrew members, plus three pararescue jumpers and medics from the 48th RQS on each HH-60G helicopter. Marine Scout Sniper Sgt. Joshua Moore will receive the Navy Cross later this week. The Navy Cross is in recognition of heroism, and second to the Medal of Honor which is for combat valor. Sgt. Joshua Moore will be receiving his Navy Cross during a ceremony on Nov. 1 at Camp Lejeune, NC. So, what’s the story on Sgt. Joshua Moore? According to his Navy Cross citation, Moore was a lance corporal when his scout sniper element came under fire while occupying a compound north of Marjah. Two Marines were quickly wounded, and an insurgent tossed two grenades over a wall into the structure. Moore’s effort forced the insurgents to abandon their position, buying his team time to regroup and aid the wounded Marines, the citation says. He then assisted in scouting and securing a landing zone for a medical evacuation. Moore told the Courier-Tribune of Asheboro, N.C., that he recalls being hit in the back with something, and then turned and saw a fellow Marine staring at a pair of hand grenades at his feet. He threw the first one out the window before it exploded, and saw that the second one had corrosion around its top. Former Army Capt. William D. Swenson received the nation’s highest military award for valor, the Medal of Honor, for actions during a fierce, six-hour battle following a deadly ambush in Afghanistan. WASHINGTON (Army News Service, Oct. 15, 2013) — Former Army Capt. William D. Swenson received the nation’s highest military award for valor, the Medal of Honor, for actions during a fierce, six-hour battle following a deadly ambush in Afghanistan. Swenson, who is the first Army officer to receive the Medal of Honor for actions in Iraq or Afghanistan, was honored at the White House, Oct. 15. Guests at the ceremony included other Medal of Honor recipients, members of Swenson’s team, and the families of service members who died in battle. Secretary of the Army John McHugh, Chief of Staff of the Army Gen. Ray Odierno, Under Secretary of the Army Dr. Joseph W. Westphal, and Sgt. Maj. of the Army Raymond F. Chandler III also attended. Before draping the medal around Swenson’s neck, President Barack Obama recounted the heroic actions of the Army officer who saved more than a dozen lives during the Battle of Ganjgal in Kunar Province, Sept. 8, 2009. Swenson is the second person to receive the Medal of Honor for that battle. Then-Marine Cpl. Dakota Meyer was honored for his valor two years ago. Swenson is a remarkable example to the nation of the professionalism and patriotism that everyone should strive for, the president said. Vail, who is competing as Miss Kansas in the 93rd edition of the pageant, announced in the blog post that she will have her two tattoos visibly exposed during the competition. She is thought to be the first contestant in the history of the pageant to do so. That decision has generated national attention, including a profile in People magazine. The preliminary portion of the pageant begins Tuesday in Atlantic City, N.J.
“I am writing this post just weeks away from competing for Miss America because I do not want to shock the nation when I’m seen in a swimsuit, bearing my marks. I want to explain the meanings and reasons behind them, and why I am opting to show them proudly,” Vail wrote on her blog in August. Vail, who is a 22-year-old student at Kansas State, is a sergeant in the Kansas Army National Guard’s Medical Detachment, an avid bowhunter and an expert marksman. “I was growing up amidst the bullying and neglect, I found myself asking God on a daily basis to give me peace in knowing I cannot change certain things about myself, but also asking Him to give me the strength to change things that I had the power to. Praying to Him for these characteristics got me through my adolescent years, high school and boot camp. When I was 20 years old, I knew I wanted to always be reminded of my past and its connection to this prayer. Thus, I chose to have it tattooed onto my body. I have no regrets,” the blog explains. Her second tattoo relates to her military service. “The second is the military medical insignia. Though much smaller than the prayer, the significance is just as great. Since I was a child, God placed a strong passion for service into my heart. Service to my Country, and service to people through medicine. In the middle of this symbol is the letter ‘D’ to represent my dad, whose influence was paramount in choosing this career path,” she wrote. Vail, who won the Miss Kansas title after winning Miss Leavenworth County, is attempting to be the first Miss America from Kansas since 1997, when Tara Dawn Holland, of Overland Park, won. Father Emil Kapaun (right) and a doctor carry an exhausted Soldier off a battlefield in Korea, early in the war. The photo shows Kapaun to the GI’s left. The soldier on the GI’s right side was Capt. Jerome A. Dolan, a medical officer with the 8th Cavalry regiment. Chaplain Emil J. Kapaun, while assigned to Headquarters Company, 8th Cavalry Regiment, 1st Cavalry Division, distinguished himself by extraordinary heroism, patriotism, and selfless service between Nov. 1-2, 1950. During the Battle of Unsan, Kapaun was serving with the 3rd Battalion of the 8th Cavalry Regiment. As Chinese Communist forces encircled the battalion, Kapaun moved fearlessly from foxhole to foxhole under direct enemy fire in order to provide comfort and reassurance to the outnumbered Soldiers. He repeatedly exposed himself to enemy fire to recover wounded men, dragging them to safety. When he couldn’t drag them, he dug shallow trenches to shield them from enemy fire. As Chinese forces closed in, Kapaun rejected several chances to escape, instead volunteering to stay behind and care for the wounded. He was taken as a prisoner of war by Chinese forces on Nov. 2, 1950. After he was captured, Kapaun and other prisoners were marched for several days northward toward prisoner-of-war camps. During the march Kapaun led by example in caring for injured Soldiers, refusing to take a break from carrying the stretchers of the wounded while encouraging others to do their part. Once inside the dismal prison camps, Kapaun risked his life by sneaking around the camp after dark, foraging for food, caring for the sick, and encouraging his fellow Soldiers to sustain their faith and their humanity. On at least one occasion, he was brutally punished for his disobedience, being forced to sit outside in subzero weather without any garments. When the Chinese instituted a mandatory re-education program, Kapaun patiently and politely rejected every theory put forth by the instructors. Later, Kapaun openly flouted his captors by conducting a sunrise service on Easter morning, 1951. When Kapaun began to suffer from the physical toll of his captivity, the Chinese transferred him to a filthy, unheated hospital where he died alone. As he was being carried to the hospital, he asked God’s forgiveness for his captors, and made his fellow prisoners promise to keep their faith. Chaplain Kapaun died in captivity on May 23, 1951. Chaplain Emil J. Kapaun repeatedly risked his own life to save the lives of hundreds of fellow Americans. His extraordinary courage, faith and leadership inspired thousands of prisoners to survive hellish conditions, resist enemy indoctrination, and retain their faith in God and country. His actions reflect the utmost credit upon him, the 1st Cavalry Division, and the United States Army.